The Chicago Hockey Initiative is thrilled to announce our most recent Microgrant recipient: Layna! Layna is a Chicago Public Schools student and plays for Team Illinois. She enjoys hockey because “the sport keeps me fit, teaches me sportsmanship, and shows me how I am capable of staying on top of my grades.” The CHI is so excited to support such a dedicated student-athlete! 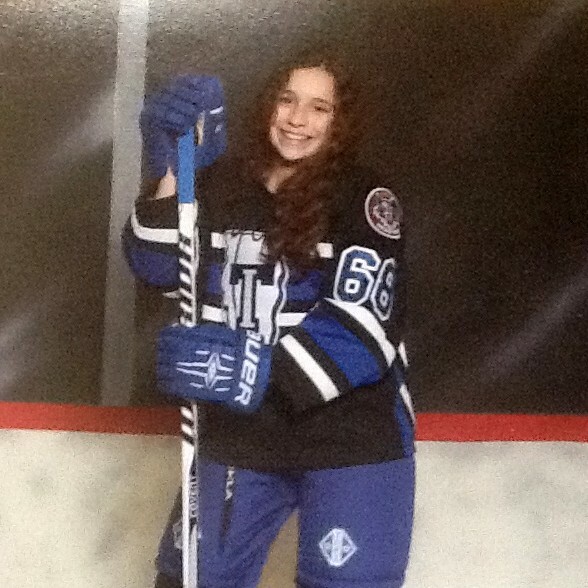 Layna’s coach writes, “Layna is a selfless hockey player that puts teammates ahead of herself. She is an absolute joy to have around!” What a fantastic endorsement! The Chicago Hockey Initiative is proud to support student-athletes like Layna as part of our mission to grow the game in the City of Chicago. If you know a student-athlete who would benefit from the a Chicago Hockey Initiative Microgrant, please refer them to our application. Thanks!